This title is of course premature, but it does reflect my opinion; an opinion which I feel is based on good evidence. Let me present some of this evidence-but first an introduction. In the 1850s Ephraim Squier was sent to Nicaragua as the American ambassador. His primary assignment was to evaluate a possible route for an interoceanic canal. He spent a lot of time traveling and wrote extensively about his observations and experiences. His book, Nicaragua; Its People, Scenery, Monuments, and the Proposed Interoceanic Canal, was published in 1852 and is currently available online. I found it very interesting reading. 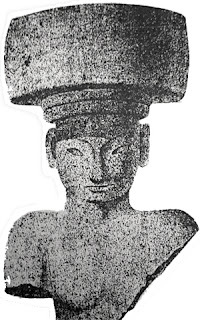 During his explorations he discovered a number of ancient Indian statues. Many of these were hidden away on an island off the shore of Lake Nicaragua. Squier indicates that the Indians told him that their ancestors had hidden them to preserve them from the Spanish priests who were destroying them in order to eradicate idolatry. The natives had apparently venerated these statues for generations. 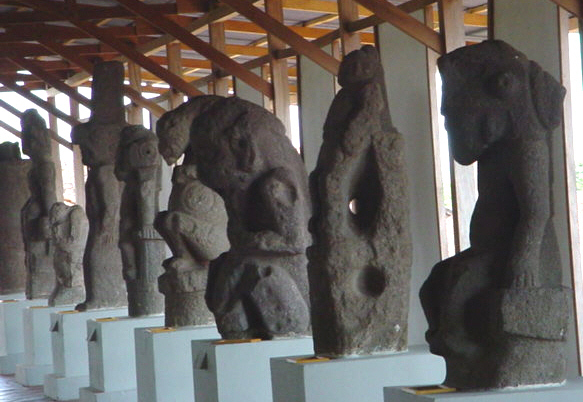 Since Squier's day many more of these pre-Columbian statues have been unearth and are currently housed in various museums throughout Nicaragua. Some have even been sent abroad. 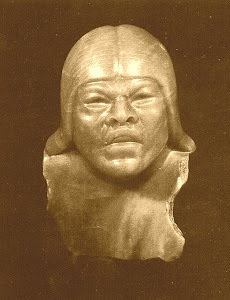 But in general the statues, which if they had been found in Mesoamerica would have been a subject for intense study, have been largely ignored. These rock images are large, often as tall as a man, and may weight up to four tons. Many of them are termed “alter-ego” statues as they portray a man underneath an overarching animal symbol. Because of this, some feel that they represent some form of shamanistic symbolism. 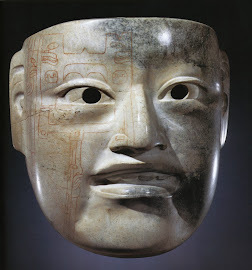 A good representation of these statues can be found online at the Pre-Columbian Stone website. Most researchers feel that the statues are fairly recent and can be dated during the period following the birth of Christ. But recently an archaeologist has suggested that some of them may date to as early as 200 BC. One problem with dating such artifacts is that they can't be dated directly and as a result are given dates of the associated artifacts or materials. However this method is open to error as many of the statues have probably been moved a number of times in the course of their history. One researcher in Mexico found that all the stone monuments that he studied had been reset multiple times. So there is a possiblity that these statues could be much older than proposed. I feel that they are. Now, let's return to the Jaredites. I have proposed that the original Jaredite landing was at the Bay of Fonseca to the north of Nicaragua. This is several hundred miles north of the Isthus of Rivas, which I have suggested as the Book of Mormon Narrow Neck of Land. The area in-between would have been the Land of Desolation. Moroni, in his translation of Ether, mentions that the Jaredite capitol, Moron, was near the Land of Desolation (Ether 7:6). Later (about 900 BC) we are told that the Jaredite king Lib “built a great city by the narrow neck of land, by the place where the sea divides the land (Ether 10:20).” This fits in very nicely with the area around Managua, Nicaragua at the north end of Lake Nicaragua. Here the “sea divides the land.” This is also the area where most of the stone statues have been found. In my opinion, these statues are the work of the original Jaredites. If this is correct it would be another definite proof of the veracity of the Book of Mormon.